It isn’t easy. Sometimes, we get stuck in the suffering. I’m pretty sure that is what Satan is counting on – that we would become overwhelmed by the suffering and just hang out there for a while. Peter is not listing these activities as things done consecutively. You don’t suffer and then, when the suffering is complete, begin to trust. You do not trust and then, when God has proven to be faithful, begin to do good. These are concurrent activities – all happening at the same time. 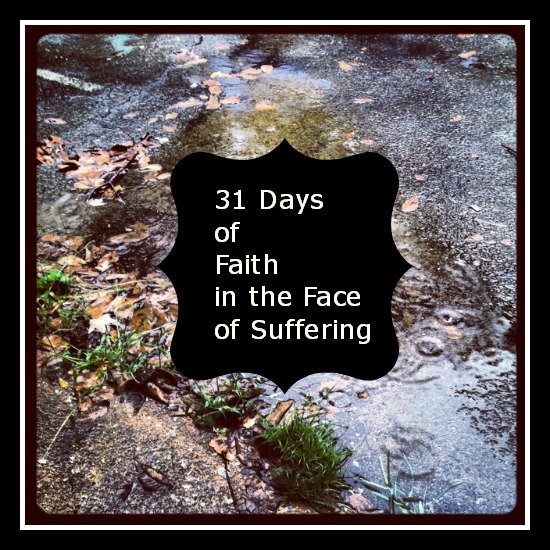 Suffering, trusting, doing – they all intermingle and overlap. We make it through the battle, but not unscathed. We are battle scarred, worn and weary.We are wounded, but not weakened. Our faith is stronger and our eyes see clearer. Suddenly, we notice the wounded around us. Our hearts recognize the gait of one who has wrestled with God. Just don’t let go. Hold on tight and wait for the blessing. This thing will not destroy you. Wrestle it out and then, when the sun rises, walk on. Satan may get a few licks in now and then, but the joke is on him because there’s nothing stronger than a faith that limps. I love your last statement…”there is nothing stronger than a faith that limps”! This is so true! I have shared your website with some other folks and encouraged them to subscribe to your daily emails. Thanks so much, Cindy! Appreciate you!